Back in November, I noted that the Republican victory in Virginia, winning several seats to claim a tie in the state Senate, could make things awkward for Gov. Bob McDonnell, a leading vice presidential prospect. He had campaigned hard to pick up the seats and could claim affirmation in the win, but he was also going to face a challenge in maintaining his image as a moderate, business-minded Republican whose days decrying working mothers and “fornicators” were long behind him. Simply put, with Republicans now in effective control of the state Senate (thanks to the tie-breaking vote of the lieutenant governor), the far-right bills that the GOP-controlled House of Delegates was passing on a regular basis now had a good chance of actually making it to McDonnell's desk. McDonnell was well aware of the risk: “Don’t be arrogant, don’t overreach, don’t fight,” he told Republican legislators after the election. 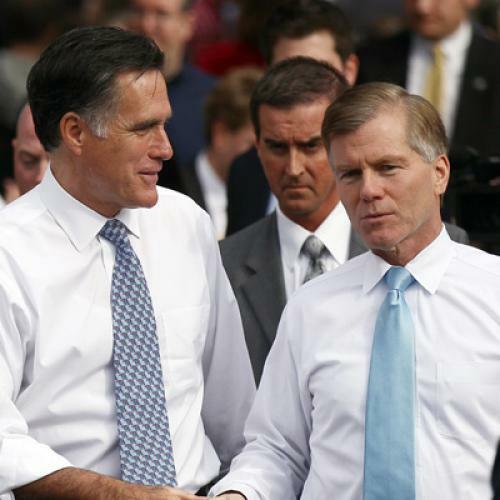 Many conservative commentators place McDonnell at the top of Mitt Romney’s veep list—he would presumably assure getting Virginia back in the red column, and reassure social conservatives still anxious about the formerly pro-choice Mormon at the top of the ticket. Not to mention that, as I realized while watching him stump with Romney in South Carolina, McDonnell is so bland and square (with a hair part so wide and frozen that you could drive a truck down it) that he makes Romney look almost edgy by comparison. But keep an eye on this legislation coming out of Richmond with McDonnell’s name on it. For a Republican presidential nominee making his summer pivot to the center, it might end up carrying just a little too much whiff of Ole Virginny.